Ukraine will make only its second UEFA European Championship appearance and after a very difficult qualifying in which they finished 3rd in group C, behind Spain and Slovakia, with Mykhailo Fomenko’s side only booking their tickets to France in a play-off matchup against Slovenia. The focus on a defensive stance was evident during qualifying, with just four goals conceded in all games, plus 6 games with clean sheets. 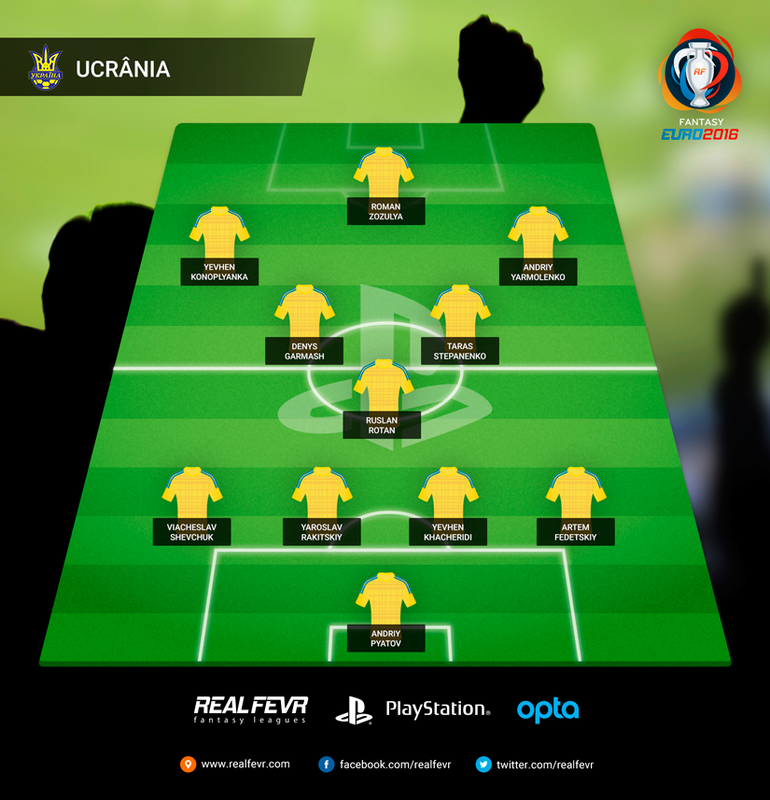 Not even the 37 years of Shevchuk seem to disrupt the stability of this backline. The midfield trio of Rotan, Stepanenko and Garmash primarily serves for ball recovery and defensive duties, but all Ukrainian hopes rely on their wingers this summer. Yarmolenko has allied offensive production for his country (6G and 3AST in qualifying) with a very positive season for the of his heart, Dinamo Kiev, scoring 13 goals in only 23 matches. In the other wing, the only player of the 23 Ukrainian players to play in a major European league, the very fast Konoplyanka , scorer of 8 goals for Sevilla in 2015-16. Up front, Kravets looked set in stone for the lonely striker role but the Stuttgart strker didn’t make the final 23. Dnipro’s Roman Zozulya, despite the weak qualifying in which he didn’t score any goal in 5 matches, seems now like the frontrunner for the starting job. It will also be interesting to see whether Stepanenko and Yarmolenko can get past their fight on May 2nd, in a game between Shakhtar and Dynamo Kiev, were they were both expelled. At the time, the Shakhtar player publicly declared that their friendship was over and nothing to get it back. The "Analista" started playing Fantasy Leagues over the internet at the end of the past millennium. With a deep knowledge of other fantasy realities, he's been waiting for 15 years for something dedicated to the sport of his heart, Football. Now he has REALFEVR. His nickname is the result of not only the lack of an artistic vein for words but especially from its extreme expertise on what really matters, looking at numbers.